Manchester United host Brighton & Hove Albion in a 3pm kickoff at Old Trafford on Saturday. Ole Gunnar Solskjaer will be looking to make it seven wins from seven as caretaker manager of the Red Devils following last weekend’s 1-0 win at Wembley Stadium against Tottenham Hotspur. The boss has been speaking to the media today at his pre-match press conference and has given a team news and injury update. Ole confirmed that centre-backs Chris Smalling and Marcos Rojo are back in light training but will be unavailable to face Brighton tomorrow. Rojo had returned to Argentina with his injury last week but is now back at Carrington. Neither centre-back is yet to be available during Solksjaer’s reign. The Norwegian also added that Maourane Fellaini will be out for the long-term. The Belgian could be out for a month with a calf injury in training. The midfielder has played just 31 minutes since Jose Mourinho’s dismissal. “Chris and Marcos just started running lightly so they’re not fit yet. Felli is the long-term one who is out. He’ll be out for a few weeks. 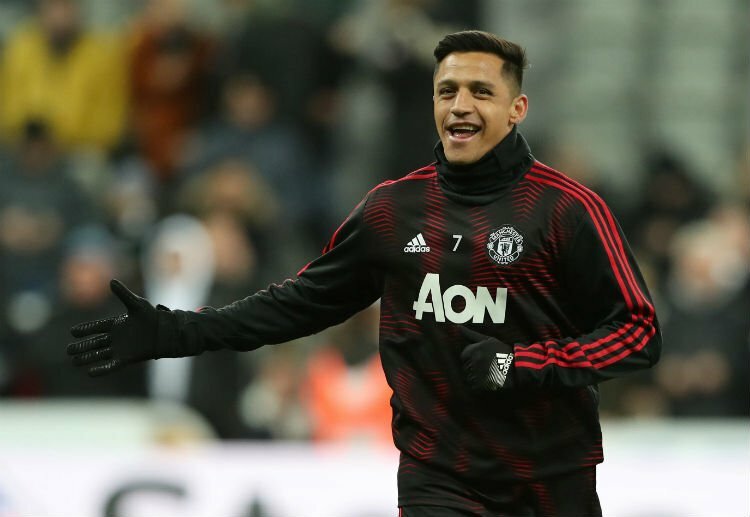 Some positive news from the boss is that Ole hopes to have Alexis Sanchez ready for our match against Brighton & Hove Albion tomorrow. The Chilean missed our 1-0 win at Tottenham last weekend after picking up a thigh injury in our 2-0 win over Reading in the FA Cup earlier this month. “Alexis has trained all week, so hopefully he comes through the session today and will be available. “He is a player who loves to play football, it doesn’t matter who you are, you want to play football. And he’s been hindered by injury. I know all about injuries and how frustrating that can be and how eager you are to get back. ”Maybe in the Reading game he should have told me at half-time, ‘I need to come off now’, because you know the 15-20 minutes he played in the second half, maybe that was too much for him. So that gave him a set back. Centre-back Eric Bailly is available again having now served his three-match ban. The Ivorian could slip into the first team alongside Phil Jones or Victor Lindelof on Saturday; our only other two central defenders currently available. good to hear that from the Ole. Mun Utd is now a focused outfit and will beat Brighton.